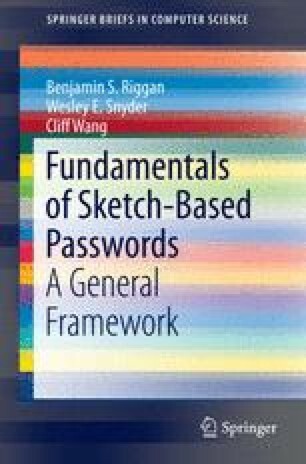 The concluding chapter of this brief summarizes the fundamental concepts of sketch-based password discussed in this work. First, a general overview of this brief, which broadly highlights the relevant literature associated with graphical authentication systems and biometrics and emphasizes similarities and differences between DTW and SKS. Then, the major contributions of this brief, which include the new qualitative and quantitative analysis, are restated. The primary implication from the contributions of this brief is that a generalized SKS framework improves both the security and usability of a sketch-based authentication system, especially one that utilizes biometric information. Beyond the specific implementations in this brief, similar types of analyses may prove beneficial in future extensions and other applications. Lastly, the major experimental results are provided, which include 12 % reduction in equal error rate (EER) when adding pressure as biometric features and the 17 % reduction in EER on the BioSketch database.